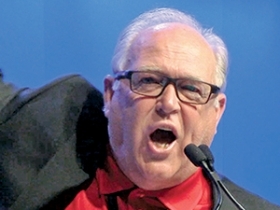 UAW President Dennis Williams promises a fight to "bridge the gap" between the $28 an hour in wages paid to Tier 1 workers and the $15 to $19 per hour paid to Tier 2. DETROIT -- To say the UAW rank and file's expectations for more pay are high would be an understatement. Delegates at last week's UAW bargaining convention, the unofficial opening of negotiations with the Detroit 3, demanded that the car companies return to workers what they sacrificed before and during the recession. "They know we gave up a lot in 2007, 2009 and 2011," said Junior Robinson, president of UAW Local 900, representing workers at Ford's Michigan Assembly Plant in suburban Detroit, which makes the Focus. "We had to do what we had to do back then. Now it's time to get some or all of it back." The upcoming negotiations could be the most contentious in years, said Dave Cole, chairman emeritus of the Center for Automotive Research in Ann Arbor, Mich. He cited the return of strong profits at the Detroit 3, workers' desire for a pay increase and their distaste for the entry-level Tier 2 pay scale. Meantime, the Detroit 3 want to keep annual labor cost increases to about the rate of inflation as they try to close a labor cost gap they still have with the nonunion U.S. operations of the German, Asian and Korean automakers, Cole said before the bargaining convention. Gary Walkowicz, a UAW delegate and bargaining committeeman at Ford's Dearborn Truck plant, said at the convention that the union should be prepared to strike if the carmakers refuse to return what workers have given up and more. "It will take a fight to get it back," he said. The current four-year UAW contracts with the Detroit 3 expire in September. Rank and file want the lower-pay, Tier 2 pay scale for entry-level workers either substantially rolled back or eliminated outright. Tier 2 was a product of 2007 concessions. UAW President Dennis Williams promises a fight to "bridge the gap" between the $28 an hour in wages paid to Tier 1 workers and the $15 to $19 an hour paid to Tier 2. Veteran Tier 1 workers have not had a wage increase in 10 years. They demand one as a hedge against inflation or a decline in profit sharing should the current fortunes of the Detroit 3 turn for the worse. UAW members don't want to hear excuses from the Detroit 3 about why they can't afford higher pay for hourly workers. Profits, especially in North America, are skyrocketing. If General Motors, for instance, can afford $5 billion to buy back common stock to placate Wall Street investors, it can afford a raise for the people who make its product, Walkowicz said. GM agreed to the buyback this month. On the other side of the bargaining table, the Detroit 3 are expected to try to hold onto the benefits of low-cost Tier 2 wages and use profit-sharing checks to avoid higher fixed costs in a downturn, industry experts say. Rolling back Tier 2 will be daunting even if UAW officials and auto executives agree that it conflicts with the union ideal of equal pay for equal work. The system has become deeply entrenched in the four years since the Detroit 3 started hiring again after the recession. All of the nearly 33,000 auto workers hired since mid-2011 have been Tier 2. That group now represents 29 percent of the Detroit 3's hourly U.S. work force of about 137,000. At the end of the last contract in 2011, there were only a handful of Tier 2 workers. The carmakers argue that Tier 2 has been crucial to allowing the companies to create jobs in the United States. Despite Tier 2, Ford and GM are still at about a $10-an-hour cost disadvantage with U.S. operations of the German, Asian and Korean automakers, said auto analyst Kristin Dziczek in an interview this month. UAW Local 900 President Junior Robinson: "We had to do what we had to do back then. Now it's time to get some or all of it back." The two U.S. automakers pay about $59 an hour vs. the high $40s for the transplants and Fiat Chrysler, said Dziczek, who is director of the labor and industry group at the Center for Automotive Research. Costs for FCA US are low, too, because Tier 2 workers are about 42 percent of its work force. Cole said the carmakers are particularly wary of increasing fixed costs in the form of wage increases, which compound and grow in good times and bad. They prefer paying profit-sharing and contract-signing bonuses, which UAW Vice President Cindy Estrada acknowledged at the convention meant $40,000 in additional compensation for each GM hourly worker over the last four years. For his part, Robinson at Ford's Michigan Assembly Plant in Wayne, Mich., says he's optimistic that a fair contract can be hammered out. 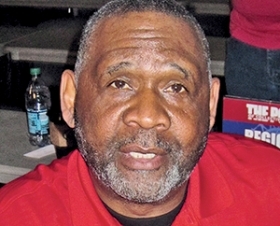 Robinson is a member of the UAW bargaining committee that will negotiate directly with Ford officials this year. That committee was announced at the convention, as were separate committees for GM and FCA bargaining. Ultimately, the rank and file in the plants will have to ratify their respective contracts. "I believe they're going to bridge the gap between the legacy employees and the entry-level," Robinson said of the negotiations. "I really hope they do."